Mumbai April 16 (IANS) A group of Maharashtra Navnirman Sena activists on Monday afternoon vandalized the offices of the proposed Nanar refinery project coming up in Ratnagiri district with Saudi Arabian collaboration police said. Around half a dozen MNS workers barged into the Nanar office in Tardeo enquired whether they were at the correct address and then started vandalising the premises. They targeted the furnitures and fitting glass doors cabins and other things inside the office even as the security guards attempted to stop them. After the brief attack lasting a few minutes the MNS workers escaped shouting anti-Nanar slogans even as a video on the incident went viral on social media networks. 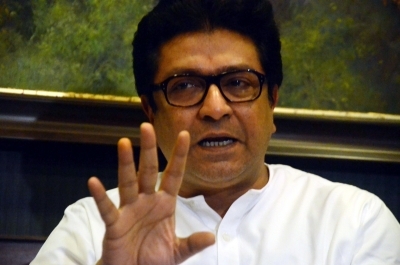 The development came the day after MNS President Raj Thackeray categorically declared in a public meeting on Sunday night that his party would not permit the Nanar project to come up in the coastal Konkan region of Maharashtra. He also questioned why Chief Minister Devendra Fadnavis was threatening that if protests against it continued the project would be shifted to Gujarat. "Why only Gujarat? Why not Goa or Kerala or Tamil Nadu or any other state in India? What is the reason for this?" he asked. Earlier on Monday the Shiv Sena also questioned Fadnavis "threats" and said instead of condemning the beautiful Konkan to such poisonous projects like earlier Enron then Jaitapur and now Nanar the state could consider setting it up in a backward region like Marathwada or Vidarbha. On April 11 a consortium comprising three major Indian oil marketing companies - IOCL BPCL and HPCL signed a MoU with Saudi Arabian Oil Co (Saudi Aramco) for setting up an integrated oil refinery and petroleum products complex in the eco-sensitive Ratnagiri. When completed the Rs 3 trillion complex at Nanar will be the world s biggest single-location oil refinery project with a capacity to process 60 million tonnes annually. The project however has elicited strong protests from locals united under the Konkan Refinery Shetkari-Machhimar Sangharsh Samiti and Refinery Virodhi Sangharsh Samiti who have secured backing of all major political parties in the state barring the ruling BJP.